Back to school…for parents, too! 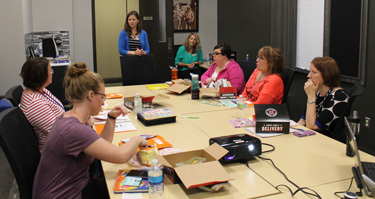 Photo: Workers at Jostens in Owatonna learn how to improve parenting skills over their lunch break through SMIF’s Parenting Matters program. Yet again, summer went by too quickly. As backpacks are reloaded with new notebooks and pencils and kids don new school clothes and gym shoes, at Southern Minnesota Initiative Foundation (SMIF), we’ve been seeing some older faces filing into classrooms. Caregiver education is the main goal of SMIF’s Parenting Matters: A Workplace Education program, which began in 2012 and has received new investments to expand its curriculum this past year. Parenting Matters is typically offered in worksites over the lunch hour, allowing working parents a convenient way to attend these “caregiver education” classes. Sessions cover topics like strengthening social emotional development, identifying and managing emotions, teaching self-control and problem solving, dealing with strong emotions, reducing stress at home, and literacy development. As anyone with kids knows, schedules fill up quickly and energy is a commodity in short supply by the end of the day when many parenting classes are held. Cost can also be a prohibitive factor. These factors are compounded for single parent families or in homes where both parents are working. Furthermore, we are seeing more grandparents playing a larger role in raising their grandchildren. The Foundation sought to overcome conflicting work schedules, time commitments and cost of traditional caregiver education courses by partnering with employers to offer classes in the workplace. So far, 21 Parenting Matters sessions have been held at workplaces and engaged with over 350 parents at no cost to caregivers or employers. Social emotional skills trainings are given over five lunch-hour sessions. Since literacy is another big focus area for SMIF, Profinium and Fred and Shelley Krahmer provided a grant to help the Foundation add a session on early literacy development. “The personal and social benefits of reading to young children are well established, but in our busy days, all too often we put our kids in front of televisions or tablets instead of engaging their growing minds with books,” said Fred W. Krahmer of Krahmer Law Office in Fairmont. Not only do the Parenting Matters sessions benefit parents, but employers, as well. Increasingly, workers are incentivized by non-monetary benefits such as flex time, development opportunities and other efforts that acknowledge a work-life balance. In addition, smart employers realize that when things are going better at home, workers can be more productive at their job. According to the Families and Work Institute, employees who are dual-centric (meaning they place the same priority on work and their personal/family life) have the highest ratings for feeling successful at work. Studies continue to show that it’s not just hard academic skills that are necessary for long-term success, but “softer skills” that prepare children to cooperate, listen, think critically and engage in the world with a sense of curiosity. 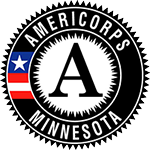 Art Rolnick, past researcher from the Federal Reserve Bank of Minneapolis, estimated that every $1 invested in high quality learning can return $16 dollars back to society. As with all we do at SMIF, the larger goal is to work toward regional vitality. Our children are our future workforce. By helping parents and caregivers feel more comfortable with things like emotional regulation and equipping them with new tools on how to get their kids off to the best start possible, we are working toward long-term prosperity.